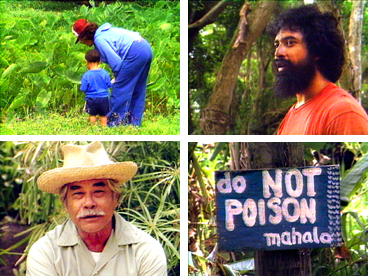 Kalo Pa‘a o Waiāhole – Hard Taro of Waiāhole explores the issues surrounding the allocation of water that flows in the Waiāhole Ditch on the island of O‘ahu. 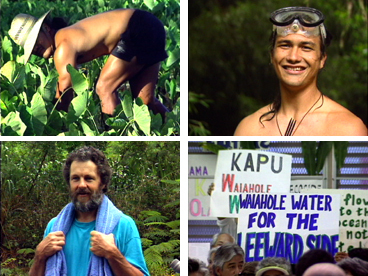 The title comes from an old saying referring to the stubbornness of the people of Waiāhole valley. 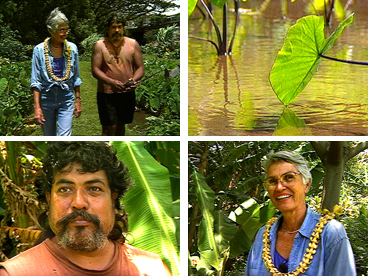 Charles Kupa escorts Marion Kelly on a tour of Ka Papa Lo‘i ‘o Kānewai, the kalo (taro) gardens on the grounds of the Kamakakūokalani Center for Hawaiian Studies at the University of Hawai‘i at Mānoa. 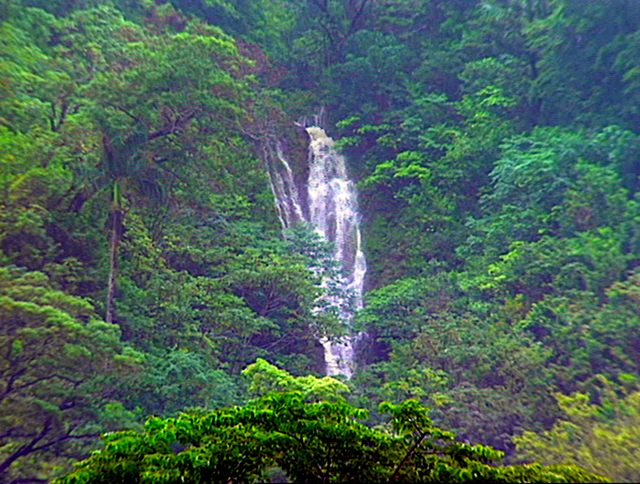 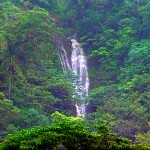 In this meeting held by the Commission on Water Resource Management the controversial issue of who should get the water in Waiāhole Ditch was discussed by land-owners, government representatives, scientists, grass roots community people and taro farmers living in Waiāhole Valley on the island of O‘ahu.